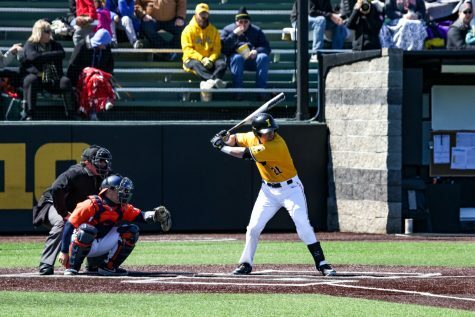 Hawkeye senior Chris Whelan is usually one of the most consistent bats in Iowa's lineup. 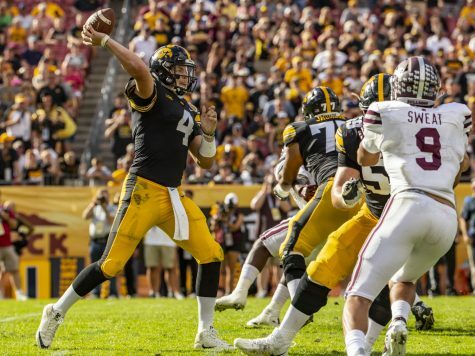 After going through a small slump, he's getting back to his usual place. 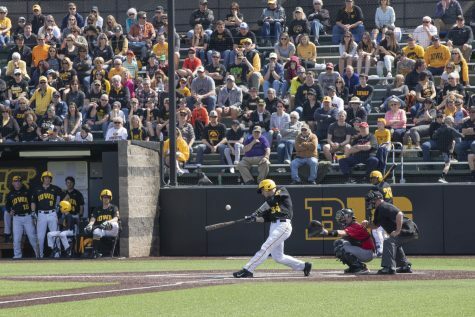 Iowa's Chris Whelen watches the ball in the game against Rutgers at Duane Banks Field on Friday, April 5, 2019. 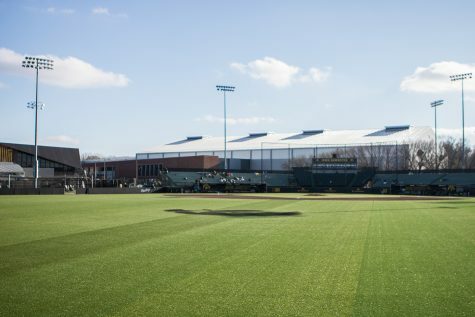 The Hawkeyes defeated the Rutgers Scarlett Knights, 6-1. 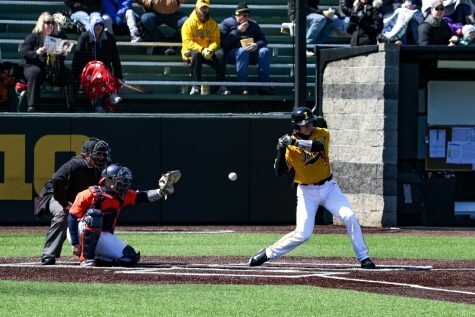 There was a point this season where Chris Whelan couldn’t be found at the top of Iowa baseball’s lineup. He wasn’t at the bottom of it, but he certainly wasn’t leading off. While he’s back in the No. 1 slot now and making it count, there was a stretch where Whelan couldn’t buy a hit. From March 2-26, with 11 games scattered in there, Whelan only amassed 3 hits with no multi-hit games. 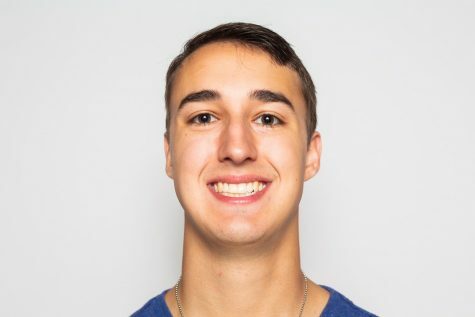 In that same stretch, he saw his average drop from .381 to .200, barely staying at the Mendoza Line. But to Whelan, it didn’t feel like he was in a slump. While Whelan couldn’t get hits to fall in that stretch, he still found ways to get on base. In the 11-game span, he racked up 7 walks and got hit by a pitch three times. Whether Whelan was in a slump or not, either way, he’s out of it now. 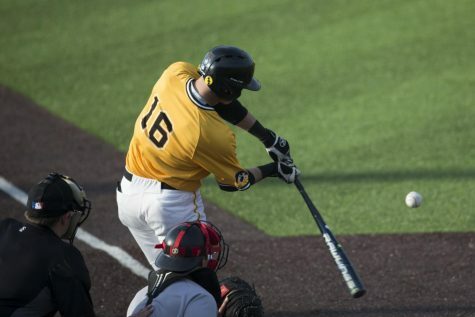 The senior has gone 5-for-9 in his last three games with a home run, 4 RBIs, and 5 runs scored. 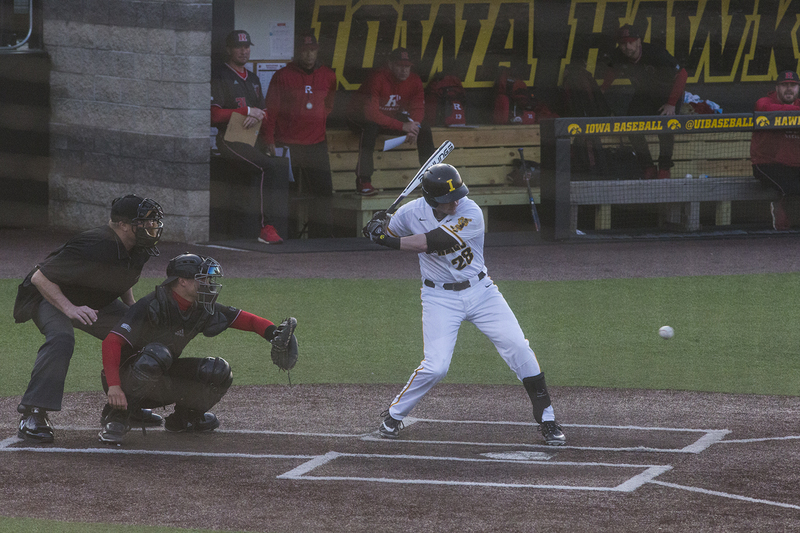 In Iowa’s 6-1 series-opening win over Rutgers on Friday, Whelan finished 2-for-3 at the plate with 2 runs scored and a walk. 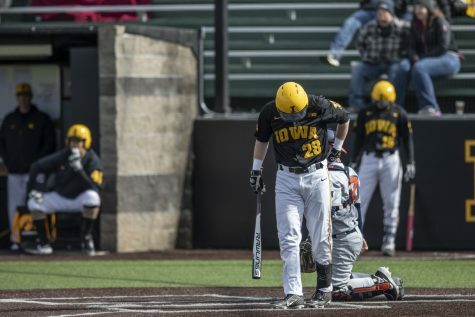 His recent performances show how dominant of a team the Hawkeyes can be when his bat heats up. 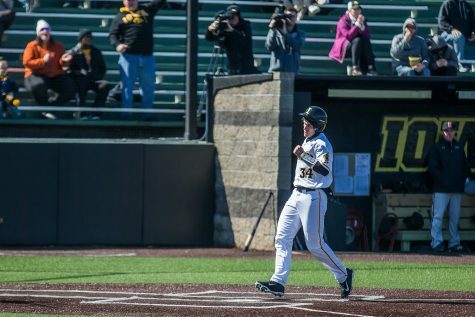 If Iowa wants to keep its four-game Big Ten winning streak rolling, Whelan will have to keep his bat heating up. 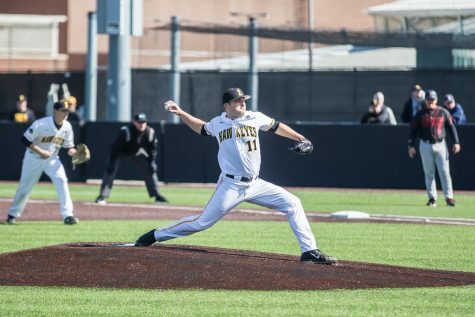 Iowa’s win over the Scarlet Knights on Friday proved to be a pitcher’s battle for most of the game; both teams were held scoreless until Iowa broke through with a 4-run sixth inning. 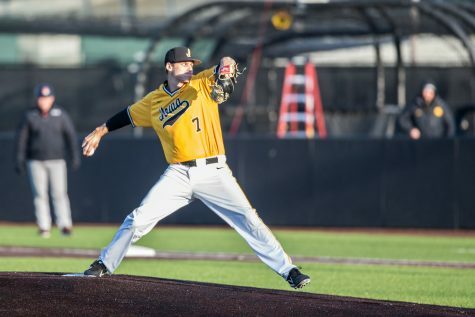 Hawkeye starter Cole McDonald, who struck out eight in 6.1 scoreless innings on Friday, acknowledged the help that comes from a potent offense. This time around, Whelan was certainly a part of that.